Our Marshall Road community celebrates the gift and love of reading with a week of literacy-themed activities for all ages! The PTA invites students and their families to join in these events and activities. Come create you own bookmarks and hide them in school library books for other Roadrunners to find! 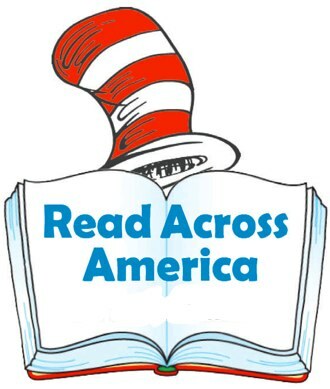 Come to school dressed as your favorite book character or book. Students in Grades K-2 and their families listen to teacher celebrities read from their favorite Dr. Seuss books, and enjoy themed games. Volunteers are needed to help make this event a success. Sign up to volunteer HERE. This is a family event; all children must be accompanied by an adult. Grab your favorite book, wear your comfiest pajamas, and read with other Roadrunners. Older students will buddy read with younger students.